I asked for submissions and you guys came through! 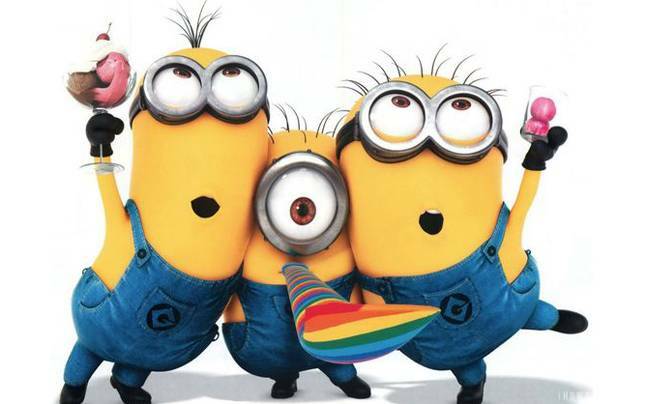 Being a part of a fandom can be something so amazing. And it’s so great that the Boys in a way gifted us with this. But we gifted each other with this as well. Through BSB we’ve gained friends, memories, experiences – all which will stay with us forever. So when you feel down, or frustrated, I hope this post will remind you of why we’re all here as fans (besides the music of course.) There’s been plenty of submissions I thought it was best to split this up into two parts! Keep the love flowing longer and such. So if you want to submit your story of what the BSB Fandom has given you, you still can! You can email us at bsbdarkside@gmail.com or you can fill out the submission form in my last post! Also if you don’t see your submission here, it means I’m putting it in the next one! Long before I blogged, I wrote fiction and eventually fan fiction. 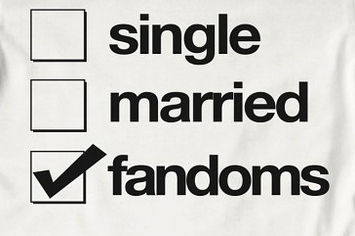 Still do both, but those fanfics were the first things I ever posted to the internet. I eventually found a community known as Absolute Chaos where I met one of my favorite people in the fandom @rokofages75. Julie and I just clicked. We have the same whacked out and somewhat morbid sense of humor, we liked to write together – and we basically encourage each other’s sense of crazy. Her and I became friends around 2006 and twelve years later and use BSB as an excuse to plan vacations. In fact this summer I’m flying out to see her, just so we can do a road trip to a convention in Knoxville. I love the Boys but honestly? I’m more excited to see her. Because she lives in the Midwest and I live in Vegas, we NEVER would’ve met without the BSB fandom. So I’m beyond thankful to the fandom for my Zombie Double Rainbow. 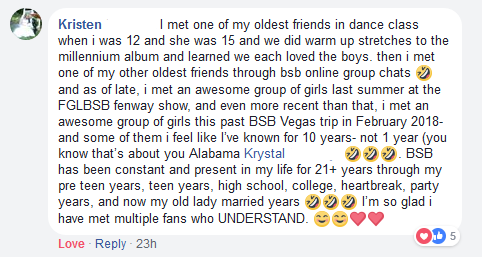 I’ve made so many friends in the fandom since then and I know it’s because of BSB. Another example of the fandom being amazing was after my mom passed. A few friends mentioned it on twitter and word spread FAST. This was before I had a blog. This was before TDS even had a twitter. I was just a mod on a fan forum. I maybe had a 100 followers at most at the time. I didn’t know that many people just yet. My first exposures to the fandom at events were the cruises but that was it. Yet when word got out that my mom had passed, I got a FLOOD of love and condolences. People I didn’t even know were reaching out with all the love and support in the world. I got several bouquets sent to my house from fans – some from friends and some from people I’d never met. I was floored and in the end it made me feel less alone. It’s a major reason why I love giving back to the fandom. Because the fandom had been there for me when I’d needed it most. 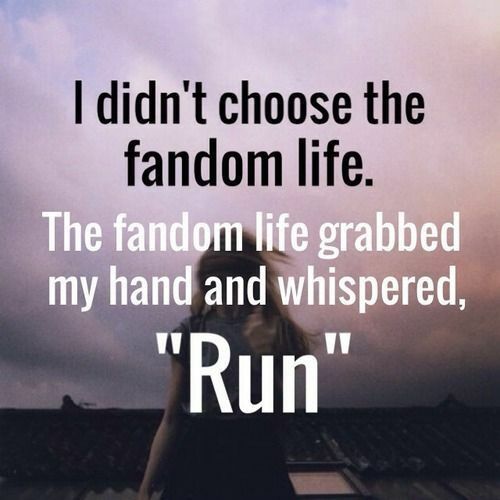 We didn’t choose the fandom life, the fandom life chose us – but we love everything it’s given!